Rohit Pothukuchi, an IB graduate of Kodaikanal International School in India, is working as a lawyer in New York City and is the founding editor of Standard Indian Legal Citation. He completed his university studies at the NALSAR University of Law in Hyderabad and received a Master’s in Law from UC Berkeley. 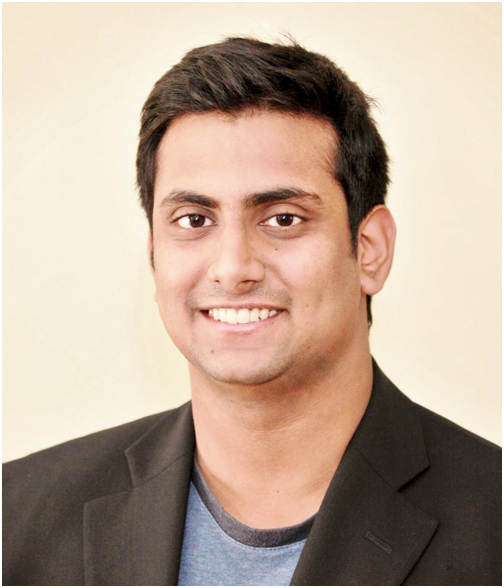 Below, we speak with Rohit about this experience as a student, but don’t miss our separate article discussing Rohit’s nonprofit social network – Verdeuntum. What brought you to Kodaikanal International School? I grew up in the U.S., but when I went back to India I wanted to find an international school that was very multicultural, that had a lot of program options. The IB was a pointing factor and at the time, Kodaikanal was one of the few schools that had the IB in India. Did you have a favorite class during the IB Programme? I really enjoyed IB English and coincidentally my mother also teaches IB English. I liked the holistic aspect and the ability to explore different subjects. Looking back I wish I had taken more of a variety of subjects than I had. What inspired you most about Creativity, Action, Service (CAS)? CAS inspired me to continue to be a part of social service even after I graduated from high school. It felt really good to be involved with those activities and now that I’m at the UC Berkeley School of Law I am still continuing with it. I also think it’s important to be introduced to this component of life earlier on when you’re in 11th and 12th grade. It really had an impact. What was your inspiration at Berkeley? Being at one of the world’s leading research universities, like Berkeley, has the potential to expose you to individuals who can help you bring an idea to life. It opened a lot of doors, helped create Verdentum and provided valuable insights. I will be joining a law firm in New York and despite starting a career in corporate law I still feel like it’s important to give back and to try to include a social component in what I do. I intend to be closely involved with Verdentum and the law firm that I am joining has been very supportive. Do you have advice for graduates making the transition from international schools to universities in the US? Keep up your grades but also try to do things that are out of the box. Many people may not realize that being outside of the U.S. gives you opportunities to do things that you wouldn’t be able to do otherwise. Outside the U.S. there are often many more problems to solve and many unique things you can do to set yourself apart as a university applicant. Other than that, focus on your GPA and SAT scores. Has your international experience shaped your world view? As a law student, I was always interested in international transactions and I tried my best to intern outside of India to travel. Being exposed to other cultures made me even more open minded. People also have a strong desire to connect and I think that my travel provided some of the inspiration for Verdentum. I felt the world becoming globalized and people becoming more aware. You can take that question to the bank!